Before you start planning your new outdoor kitchen, you need to make sure you have a beautiful concrete patio for dining and entertaining. 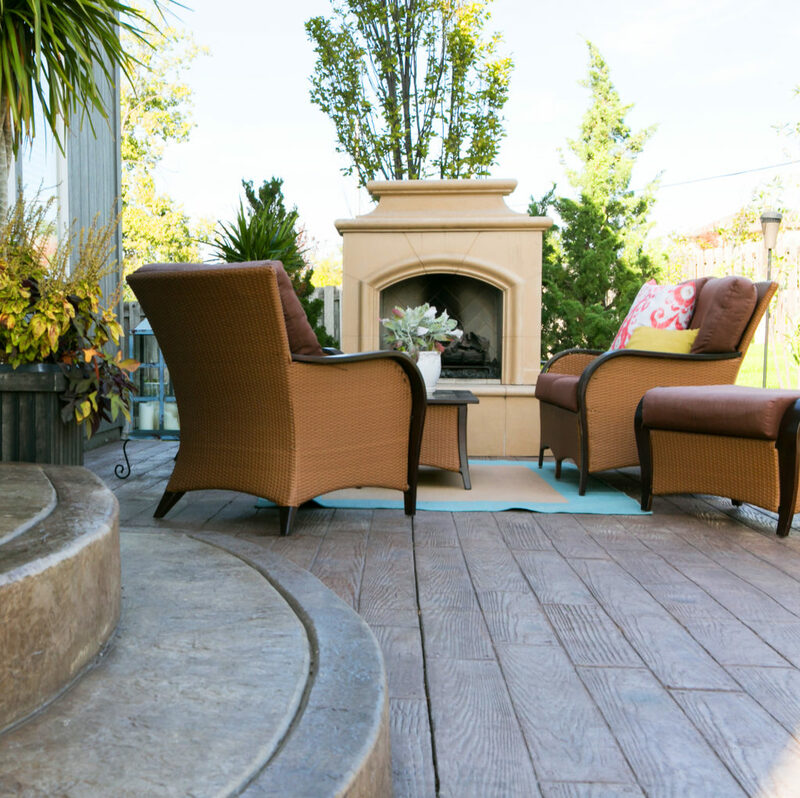 The team at Aesthetic Concrete Designs has more than 20 years’ experience installing and creating custom concrete patios throughout the Kansas City area. We can help you create an extension of your home that will become the highlight of spending time in your backyard. The only limit to what your new concrete patio can become is your imagination. 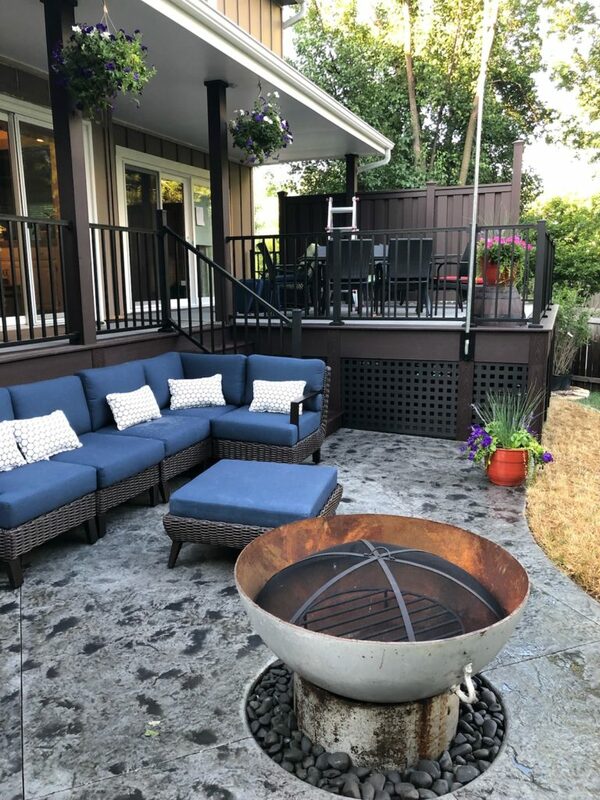 We’ve helped people all over the metro install stamped concrete patios, patios with built in seating, and concrete patios with custom colors and designs that are sure to make your guests remember your patio for years to come. With dining being a major function of your new concrete patio, the placement for tables, chairs, and accessories are crucial. Our design team will help you plan out everything so that you can be sure to have the perfect layout and enough space for everything that you want to include. Looking for a smaller, bistro style dining area for smaller areas? We can help you design the perfect concrete courtyard to compliment the amount of space you have available. You don’t have to have a sprawling backyard to have the perfect patio space. We can help you come up with a perfect concrete courtyard that’s perfect for your morning coffee or nights out enjoying friends and family. When it comes to concrete, you want a contractor that delivers quality and excellence. Aesthetic Concrete Design can handle any concrete project you have in mind. From stamped concrete patios to driveways, sidewalks and more, we have the skills to make sure you love your next project. Our expert team is dedicated to providing the best in concrete services for your home or business.